Hearing Healthcare Professionals embraces a patient-centered approach from diagnosis to treatment. Understanding no two individuals or hearing losses are the same, each patient receives the attention and dedication required to develop their own successful treatment plan. ​Hearing plays an essential role in maintaining a person's lifestyle. Once the ability to hear declines, even the simplest of tasks becomes daunting. Activities that were once enjoyable become a struggle, and at times unsafe. Let us help you regain that sense of confidence, independence and freedom that you deserve. ​At Hearing Healthcare Professionals, we look forward to addressing all of your hearing healthcare needs. We will work together to develop a treatment plan that best suits your lifestyle. Dr. Schepis Tzeng earned her Bachelor's degree in Communication Sciences and Disorders in 1999 from Syracuse University then continued at Syracuse University for her Master's degree in Audiology in 2001. 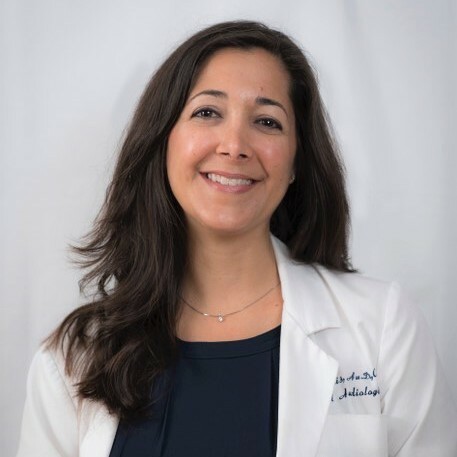 She fulfilled her Clinical Fellowship (CF) in 2002 at the University of Virginia Hospital in Charlottesville, Virginia and received her Doctor of Audiology (Au.D.) degree from A.T. Still University, School of Health Sciences, a division of the Kirksville College of Osteopathic Medicine in Mesa, Arizona. Following her fellowship, she joined Brigham and Women's Hospital in Boston as a clinical audiologist and Director of the Newborn Hearing Screening Program. In 2003 she joined South Shore Hearing Center in Weymouth, MA where she practiced for 15 years. Dr. Schepis Tzeng believes with the correct provider, proper treatment plan and individualized attention and care, success is inevitable. ​Today her professional interests are in tinnitus management, cochlear implants and hearing aids. She believes with the correct provider, proper treatment plan and individualized attention and care, success is inevitable. 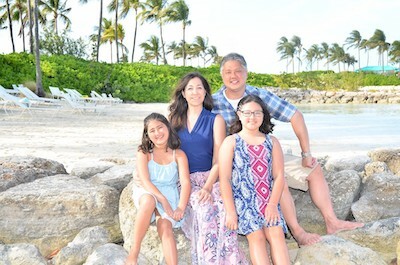 Dr. Schepis Tzeng prides herself on building a special relationship with each of her patients and their families, to ensure success. Dr. Schepis Tzeng enjoys speaking at local community events to educate the public on the importance of hearing healthcare and volunteers her time teaching staff and residents at local nursing facilities on the proper use and maintenance of hearing aids. ​Dr. 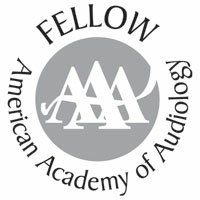 Schepis Tzeng is a fellow of the American Academy of Audiology (FAAA), is licensed by the Commonwealth of Massachusetts in Audiology, is a member of the Massachusetts Academy of Audiology (MAA) and holds her Certificate of Clinical Competence (CCC) from the American Speech-Language-Hearing Association (ASHA). ​Outside of the office, Dr. Schepis Tzeng is happily married with two young daughters. She enjoys spending time with family and friends, being a Girl Scout Troop leader for 10 magnificent little girls, traveling and cooking.